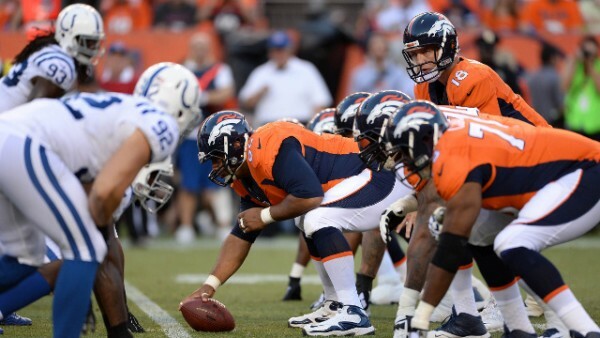 If there’s one game that represents past vs future in these NFL playoffs it has to be the clash of quarterbacks between the Indianapolis Colts with Andrew Luck and the Denver Broncos with Peyton Manning, facing his former team. Luck and Manning have already met this season and it wasn’t even close. However, so many things change from week 1 until the point we’re in now it’s as if that game hasn’t really happened, or has a chance of influencing the occurrences of their playoff meeting. Peyton Manning is the kind of one-and-done in the NFL postseason (Eight times!!! in his 17-year career) while Andrew Luck is only in his third NFL season but already with two postseason victories to his name and has never missed a playoff. Beyond the nice touch of sons of former quarterbacks going head to head in the postseason while their fathers have never gotten this far, there’s the difference in the teams. The Colts became more and more Luck’s team as this season dragged on, something many have been urging Chuck Pagano to do since the beginning of last season. The Broncos have gone through the opposite course – taking touches and decisions away from Peyton Manning, although that might be more than just letting him rest before the postseason. After setting records on fire through the first half of the season, Manning is going through somewhat of a miserable finish. He can’t the job done in the red zone over the last five games after leading most of those numbers through the first 12 weeks of the season. He’s been going too much at Demaryius Thomas of late, but once again – maybe all the balls being handed off to C.J. Anderson and focusing on just one receiver is the Broncos way of fooling their upcoming opponents. One thing is for sure: No one might be willing to admit it, but Peyton Manning and the Denver Broncos feel like it’s now or never. They improved their team from last season, especially on defense, with the demolition in the Super Bowl against the Seahawks sitting and not letting go even a year later. But Manning is declining. This team was built to win with him as the man leading them forward. His surprising decline all of a sudden might mean the window to win with this group of players might be closing. Luck has posted some impressive numbers this season, but is prone to make mistakes. He has good receivers but no running game, and a defense that’s been inconsistent, especially when they’ve been playing opponents from outside the AFC South. He and his team were crushed in the divisional round against the Patriots last season, run all over by that ground game. They’re not likely to see such a one-sided offense this time, but it’s their opportunity to show this season has been another step up the NFL hierarchy ladder. Despite Peyton Manning weakening, the Broncos are still heavy favorites, as the winter should also play a factor against a team used to playing in a dome. Peyton Manning is trying to solidify his legacy which has a lot of playoff losses in it, while Andrew Luck is in the midst of carving out one for himself. But if the Colts offense can’t put together a more complete and varied display than usual, Andrew Luck alone isn’t going to be enough.